I wasn’t born with a silver bar spoon in my mouth. My obsession with all things cocktail and liquor related is fairly recent. If you’d have asked me eight years ago what the difference between scotch and bourbon was, you’d have received a blank stare. These days I’m hunting for the perfect wood chips to experiment with aging cocktails in jars, and optimal baking points for maximizing wood sugars. While I love to geek out about esoteric corners of the cocktail world, I’ve also found joy in giving interested people a gentle, understandable introduction to drinking with awareness of what they’re consuming. That’s what this blog is about. My earliest recollection of anything booze related was the cupboard over of my parent’s refrigerator. I remember well the bottles of Galliano, amaretto and Gordon’s gin but I can’t say I ever saw anything approaching “mixology” while growing up, although I’m pretty sure the Galliano was used for a “Harvey Wallbanger.” – Look it up. I suspect my parent’s liquor cupboard was a haphazard collection of gifts and one-off purchases, most likely for some holiday recipe. No, my aptitude for spirits certainly didn’t come from early life experiences. In my late teens my family took a Caribbean cruise. Since the drinking age was 18 on the open ocean back then, I ordered a Pina Colada because it looked pretty. WOW! Holy crap! This is awesome! Looking back, it was my affinity for all things sweet that had much to do with my newfound love for rum, coconut and pineapple. I was so enamored with the magical Pina Colada that I figured out how to make them at home – eventually friends started requesting them at parties as witnessed in the photo above. I was a master cocktail craftsman, or so I believed. With the Pina Colada mastered, I tried other things, often involving Malibu and whatever else looked interesting and was available. I was never brought up for crimes against mixology but should have. My cocktail awareness was still mostly of the “let’s get drunk” mindset. After college my professional life took off, leaving little time to think about drinking as anything other than something to do with friends on the weekends, instead focusing all my enthusiasm into software development. Starting out in tech support in 1988, I became obsessed learning the PC architecture and programming, so much that through sheer enthusiasm I worked up to doing real software development. My enthusiasm lead to writing magazine articles about programming, which turned into books, then programming seminars. I was travelling all over the world, writing and speaking about programming while still holding down a “normal” software development job from 9-5. My special talent during those many years was taking complicated topics (How Windows works, CPU architecture, debuggers), and simplifying them down to where they could be relatively easily conveyed and understood. My first sip was WOW! Something magic, and I was in love with this drink. Today I recognize that what knocked my socks off was orgeat, the almond syrup frequently used in tropical drinks. My love of Tiki was sparked there, but wasn’t self-sustaining yet. Shortly thereafter my personal life went through upheaval – A divorce, a new job (Microsoft!) , a move across country, and a new marriage let me focus on other parts of life I’d ignored while living and breathing computers and software. Still I missed having a hobby now that computers weren’t something I thought about nearly 24×7. In 2004 I met one of my now closest friends at a party in downtown Seattle – We hit it off immediately and a few days later my wife and I were at his swank Belltown pad. He offered a cocktail and I was blown away when he produced a perfect Cosmo – Swank!!! Not only did he use a real cocktail shaker, he had an actual ice maker in his kitchen! Things clicked as I realized that “real” cocktails weren’t that complicated – Over the course of many more Cosmos on many more evenings, I came to the conclusion that I could do this as well. I was fortunate in that soon thereafter my wife and I bought an older house and set out to renovate it. There was an auxiliary sink and counter downstairs and we had the inspiration to turn this into a dedicated bar area – Refrigerator, ice maker, sink, fancy counter, nice cupboards, the works. My only real regret is that I thought space for 50 bottles would be enough. Hah! At the time my cocktail interest were still leaning somewhat towards you could call “girl drinks” – In addition to the Cosmo and Pina Colada, think “Lemon Drop” and you have the idea. While living in a small apartment while waiting for the major construction on the house to be completed, my wife gave me a book by Beachbum Berry – “Sippin Safari”. Scanning the many recipes, I realized two things. First, I could easily make a Mai Tai now that I knew the magic. Second and more importantly, I started seeing the pattern of Tiki drinks – Almost without fail they have rum, lime and some sort of syrup. All the many exotic drinks- Jet Pilot! Navy Grog! are just variations on the basic skeleton. 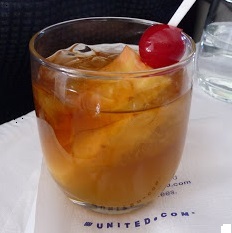 I started forming a list of essentials that I knew would enable me to make all sorts of tiki drinks, and experiment on my own with new combinations. I was also fortunate to be in the right place at the right time in Seattle. We lived not far from Zig Zag – A bar now internationally famous and the one-time home of Murray Stenson. On my first visit there I scanned the menu and didn’t recognize most of the ingredients. Although definitely not Tiki-focused, I was intrigued by an even wider variety of exotic sounding ingredients that I knew nothing about. Discovering them all was a challenge I eagerly took on. With many Zig Zag visits, along with other great Seattle bars like Rob Roy, Liberty, and Tavern Law, my understanding and appreciation spirits and cocktails and techniques rapidly gained momentum. With a dedicated space to play in and a good set of bartending essentials, I now have my own laboratory to play and learn in. In fact, if you look to the left in the photo you can see some of my science experiments. Almost every night I’m trying out a new recipe or improving on a favorite. As the interested drinker and reader, you don’t necessarily need all this however. All you need is a curious mind and a willingness to try new things. Hopefully this blog will inspire you to discover your own passion. I can vouch for how Matt's "gentle, understandable introduction to drinking with awareness of what they’re consuming" deepens your appreciation for what you're drinking, both at the time and future drinks.